My assignment this year for Thanksgiving was the Mashed Potatoes and Gravy. And let me tell you I was a little nervous about making 10 lbs. of potatoes, something I've never done before. Before you freak out, I have made potatoes before, but in small quantities. Now I didn't lose any sleep over these potatoes, and my arms still aren't as svelte as I'd like. But I had some weird dreams where the potatoes got mad at me for "hurting" them, and they wanted to eat me, and my arms were pretty sore from hand mashing them. But my fears were quickly vanished when I tasted these amazing potatoes. I've honestly never had creamier, and more flavorful potatoes in my life. Which is hard to say because I didn't think you could beat my grandmothers mashed potatoes, but somehow I managed. There was not a single leftover of these potatoes, and I've never received more compliments on my cooking as I did for those potatoes. I very, very highly recommend these for your Christmas dinner! I know hand mashing seems like a lot of work, and yeah I suppose it is, but it is SO worth it. Please don't EVER whip your potatoes, this breaks down the starches and makes them gummy, and let's face it who wants to eat baby food for a holiday?!?! I used 2 different hand mashers, one metal that is more your typical masher. And one with smaller holes for once I got them mashed with the first one, just to get more lumps out. I will be honest and say I spent the better part of an hour mashing 10 lbs of potatoes (which equaled 6 quarts of mashed potatoes), but it was worth every minute of it! Peel and cut the potatoes into quarters, or even pieces. Place in a large pot, and cover with water so there's about an inch or more of water above the potatoes. Place the lid on the pot and bring to a boil. Let it simmer, stirring occasionally til the potatoes are fork tender, about 30-40 minutes. (Fork tender is where you can pierce a potato with a fork and it slides in easily and falls apart) Once the potatoes are done, drain off most of the water, and then place back into the pot. Turn the burner on low, and start to mash with a metal masher. 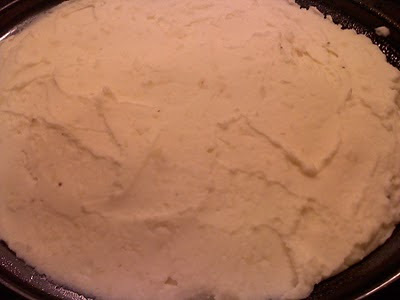 Once well mashed, cut 3 sticks of butter into pieces and mash that into the potatoes, you'll save the other stick to put on the top of the mashed potatoes to keep them moist. Repeat with the cream cheese, cut into pieces and mash into the potatoes. Add in the whipping cream (could use half and half or milk, whatever you have on hand) and the spices. Continue to mash until you reach the consistency you desire. Be sure and taste the potatoes along the way, so you know it's the flavor and texture you want. Spray a 6 quart crock pot, or oven safe container (such as corningware) with non-stick spray (I used butter flavored), and pour the potatoes in. Use a knife to spread them evenly and to get a nice smooth look to the top. Cut about 5 Tablespoons of butter into pieces and place on top of the potatoes. At this point you can place them in a warm oven, or crockpot to keep them warm, or you can cover them in foil and place in the fridge for 1-2 days before hand (this is what I did). When you're ready to warm them back up, make sure you have about 4 hours before you need them. Take them out of the fridge and let the pot sit at room temperature for an hour. Then (if using a 6 quart crock pot which I recommend) take the foil off and put the lid back on. Place in your crock pot's base and turn on low for about 2 1/2 hours. Stirring occasionally, until warmed through. Then just turn the crock pot down to warm and add the remaining butter on top. 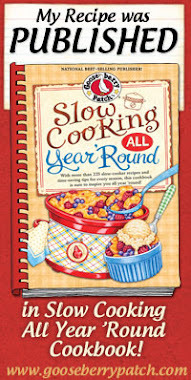 *If not using a crock pot then you will need to cover the container with foil and bake in a 350 degree oven for about 30 minutes or until warmed through. * Serve warm with your favorite gravy. I know these are very detailed potatoes, and may seem a bit intimidating, but trust me they're really pretty easy, and TOTALLY worth the extra work! They were phenomenal potatoes, and delicious with the Turkey Gravy I made too. They stayed very moist and warm in the crock pot, to take them to my In Laws house, I just placed the whole crock pot, base and all, in a box that fit it perfectly. Since we only had a 25 minute drive they stayed pretty warm, and I just turned them back on low for half an hour when we got there, and then just kept them on warm til I noticed they were all gone!! They were such a huge hit, and everyone greatly enjoyed them. 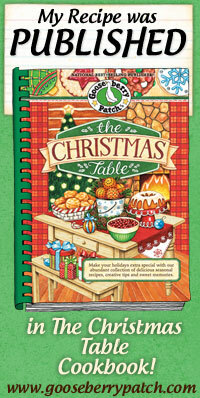 I hope they make it to your holiday table this year, and that you enjoy them as much as we did! 5 stars. Sounds heavenly, although I personally don't use Accent. It's MSG, which is not very good for people, and some folks are highly allergic to it. Otherwise it still sounds yummy. Gayle, I appreciate your comment. I am aware that Accent is MSG, but since I made this for my In law family who have an aversion to salt I felt this would be a better substitute. As the recipe says it's only a dash (1/8 of a teaspoon) in 10 lbs, so the risk would be very minimal. You could totally use salt instead. As I said, all seasonings are completely subject to your personal tastes.